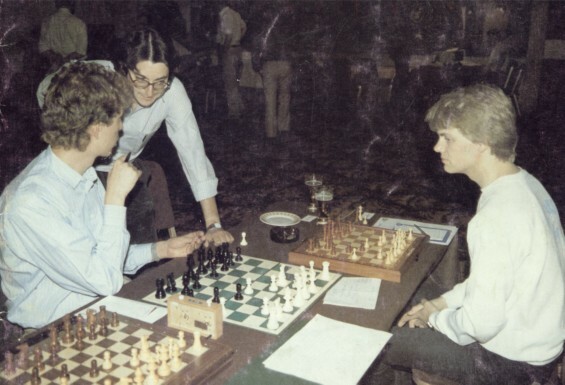 The Fourth World Microcomputer Chess Championship took place from September 9-15, 1984, at Stakis Ingram Hotel , Glasgow, Scotland, United Kingdom, hosted by the Scottish Chess Association as part of their centenary celebration. Mike Valvo served as Tournament Director, and the ICCA was represented by Monroe Newborn. Nineteen programs battled for the title, represented far fewer interests since multiple entries were allowed. Each company was permitted as many as three entries although there was no limit for a particular author, like Dan and Kathe Spracklen with interests in seven of the nineteen entries. After seven rounds, four programs tied for the first place, presented four different interests which was a mathematical miracle, Elite X, Mephisto III A, Princhess X and Psion. The awards ceremony took place in the about-to-be-founded Turing Institute, the brainchild of Donald Michie and an affiliate of Glasgow's University of Strathclyde . This page was last edited on 20 April 2018, at 15:53.